Used scope:monochrome machines for the leaflets to paper,two-color or multi-color offset press. 1,be able to adapt to high-speed printing needs. 2,under normal circumstances to maintain the printing press ink fountain 36 hours not conjunctiva. Advantages :excellent ink-water balance ,dot reproduction clear, complete solid fast, good stability on the machine. Sublimation thermal transfer ink printed list of the desired temperature (for reference)--- Aluminum plate, stainless steel, copper and porcelain coated, the thermal transfer the desired temperature can refer to the temperature of the polyester fabric. Please pay attention : Before use the ink,play a sample plate printing, if the deviation is not great, and then determine the comp engraving and printing. 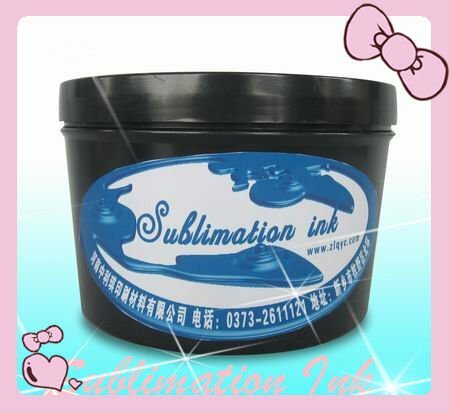 Because sublimation ink for gas coloring so can not according to the proportion of ordinary printing Fapai printing.